Hi! This is Sharon from A Beautiful Mess! I hope you are doing great. 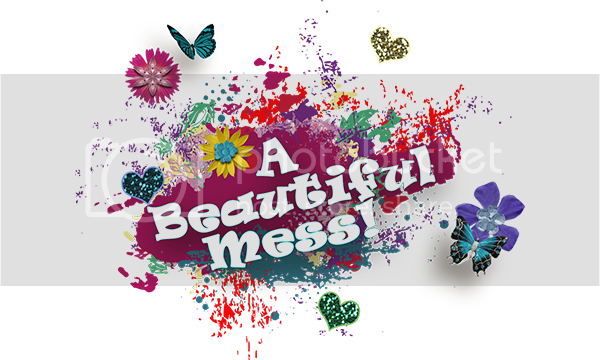 Sometimes I wander over to other digital scrapbooking forums to see what I can participate in. I found out that Diane from ADB Designs holds a monthly challenge called, Color Challenge where she so kindly gives out a mini kit, and others can scrap with her mini, or one can design a mini with the colors that she chose. So I decided to try my hand in it. I found out that the colors were hard for me to design, but hopefully you will like my submission. So you may download my part here at my DROPBOX. Hello Lovelies, it is that time a year again where I give a Christmas kit out. I hope that you like this one, it is called Christmas Wishes. It has 36 embellishments and 10 backgrounds. This kit was made with love. I hope that you enjoy!! You may download it here from my DROPBOX. All aboard. Choo, choo! Nice to see you at my stop. The designers have been stirring up their creative juices to give you a nice mega kit. As for my part, it is very sparklely. I hope that you enjoy these swirls. You may download it here at my DROPBOX. Which one WordPress or Blogger? Hello! I am trying to figure out if I like blogger or WordPress better. It is very hard to tell since both of them have their advantages and disadvantages. If you know which one you like better, please leave a comment. Thank you.